NCAA “BracketKnowledgey”! - Swampswami.com - Sports Commentary and more! It’s nearly time for ol’ SwampSwami to reveal his picks for the 2019 NCAA “March Madness” Men’s Basketball Tournament! For a guy who played organized basketball from fifth grade through 12th grade and then recreationally until age 37, it saddens me to say that I have NEVER won a single NCAA basketball bracket selection contest. EVER! I am convinced that knowing too much can work against you. It’s what I call the “Wile E. Coyote” effect. 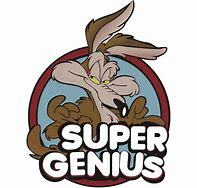 Wile E’s Acme NCAA Picks – Serving up 40 consecutive years of busted brackets! Lord knows I’ve tried to modify my basketball feelings over the years. I’ve tried to pick teams based on their nicknames, their team colors, and the team playing closest to each venue. None of them have worked yet. What I’m trying to say is that you would be wise to forge your own path to victory! If you’re betting on team colors, 2019 is the Year of Blue. All four of the #1 seeds in this year’s tournament have blue as their primary color (Duke, Virginia, North Carolina, and Gonzaga). “Roses are red, these teams are blue, if you think they’ll all win, I’ve got some bad news for you!” Actually, it did happen just once in 2008. If you prefer to select teams with animal nicknames, this is the Year of the Cats. There are ten cat teams out of the field of 64. That’s 15.6% of the teams. There are four Wildcats (Kansas State, Villanova, Kentucky and Abilene Christian), two Tigers (LSU and Auburn), a Cougar (Houston), a Catamount/puma (Vermont), one Bearcat (Cincinnati) and one Panther (Georgia State) in this year’s field. Your All-Cat Final Four would involve LSU (East-#3 seed), Vermont (West – #13 seed), Kansas State (South – #4 seed), and Kentucky (Midwest – #2 seed). It could be Hissss-tory! If you’re more of a dog lover, there are eight of them. This year’s kennel (I mean, field) has four Bulldogs (Mississippi State, Yale, Gonzaga, and Gardner-Webb), two Huskies (Washington and Northeastern), one Terrier (Wofford) and one Blue tick Coonhound (Tennessee’s Smokey). Your All-Dog Final Four would best served by selecting Mississippi State (East – #5 seed), Gonzaga (West – #1 seed), Tennessee (South – #2 seed), and Wofford (Midwest – #7 seed). If you like some variety in your animal nicknamed teams, try this quartet: Maryland Terrapins/turtles (East – #6 seed), the Michigan Wolverines (West – #2 seed), the UC-Irvine Anteaters (South – #13 seed), and the Kansas Jayhawks (Midwest – #4 seed). OK – let’s say you just don’t like the thought of schools’ using animals for mascots! Here is a group of potential winners for you! 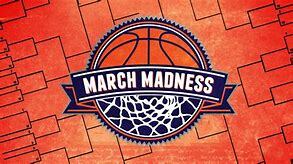 Take the Duke Blue Devils (East – #1 seed), the Texas Tech Red Raiders (West – #3 seed), the Virginia Cavaliers (South – #1 seed), and North Carolina’s Tar Heels (Midwest – #1 seed). Amaze your friends with this tidbit of knowledge. Did you know that TWO teams have the nickname “Gaels”? That’s right. St. Mary’s (South – #11 seed) and Iona (Midwest – #16 seed). Sadly, the two Gaelic teams may not hang around for long, though. Another? 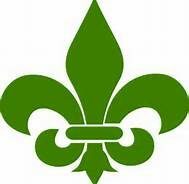 What is the nickname for the St. Louis University (East – #13 seed)? The Billikens. Bonus – What is a Billiken? The school website says it was the name of a charm doll circa 1911. Final chance – what city and state is Gardner-Webb University (Midwest – #16 seed) located? Answer: Boiling Springs, North Carolina in the western part of the state! Have fun with your NCAA basketball selections! I will post mine prior to the start of the tournament for your amusement.